There comes a time in every woman’s life when she must host a dinner party. As much as you would like to plan in advance, sometimes the occasion just presents itself and you have to make do with what you have. Read on for five sneaky tricks that will make you a last minute dinner party master in no time. Plus your guests will be complimenting you on ‘all the effort you went to’. Hosting a last-minute dinner party means it is unlikely that you will have enough time to develop and decorate for a cohesive theme. To set the mood with minimal time and effort, light some candles and put on some music. Even though it might seem a bit cliché, nothing sets the mood for an evening quite like the glow of candlelight. There is just something about this soft, comforting lighting that allows people to relax and have a good time. 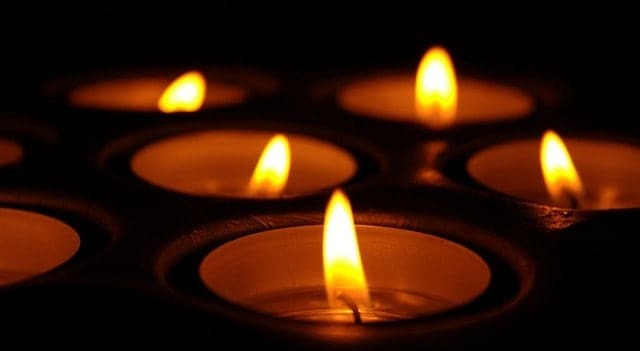 Place candles strategically throughout your home, such as in the foyer, in your guest bathroom, and on the dining table to get the greatest effect. Scented candles will up the ante even further and give the house that ‘fresh and clean’ touch. Music improves any party, assuming that it is music that everyone enjoys. Choose something that has enough rock and roll in it to get people moving and dancing, but keep it soft enough so that it doesn’t overpower your evening. The music at your party should be enjoyable and serve as a point of conversation for your guests, but it should not hinder conversation or dominate your senses. When you know that guests are on their way to your house, you may feel an urge to obsessively clean every inch of your home. While this is a positive instinct, try to resist the feeling that you need to make everything perfect. If your kitchen bench is cluttered, move everything into a cupboard or closet and deal with it later. This is not the time for heavy-duty scrubbing. Put your cleaning efforts where they are most needed. Clean the areas that your guests are most likely to see, like your guest bathroom, kitchen, dining room and living room. Leave your bedroom and closet for another day. 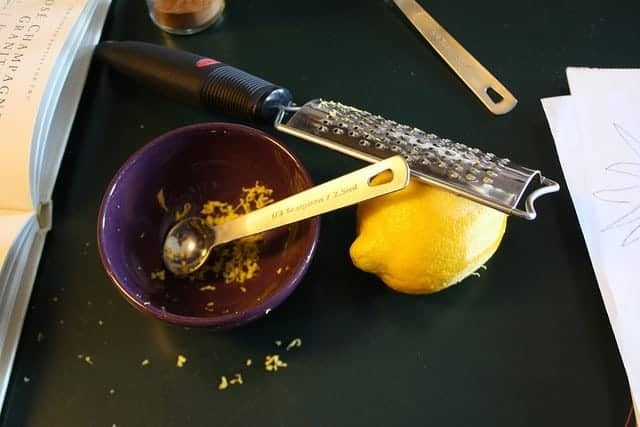 This will save you a lot of time and stress in the last few hours leading up to your dinner party. Nothing says party quite like a fancy cocktail. Rather than going with the standard rum and coke or gin and tonic, serve your guests a unique drink. Choose something that either compliments or pleasantly contrasts with your menu. For example, pair citrus flavours with seafood, or drink a rich red wine to amplify a hearty beef dish. To take some of the pressure off on the day of your party, make a batch the night before (minus the alcohol) and freeze it in extra-large ice cube trays so that it is ready to go when your guests start to arrive. Then, all you have to do is add the liquor when it is time to start drinking. Your frozen drink cubes will flavour the alcohol as they melt + serve up a cool and refreshing tipple. Snacking platters are one of the hottest trends for dinner parties, and they can be prepared prior to your guests arriving and they’ll keep your guests’ appetites at bay until dinner is served. Featuring a variety of healthy, yet delicious nibbles, a ploughman’s platter is an excellent option, offering something for everyone. 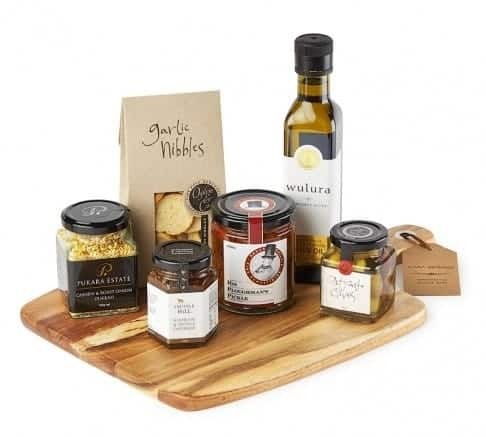 If you buy a pre-designed hamper package, you get a complete appetizer platter, without having to spend the time it would have taken you to source all of the individual ingredients yourself. Your guests will marvel at your ability to curate such unique, upscale items for their enjoyment, never realising how quick and easy it was for you to order. The essence of a dinner party is, of course, the dinner. Choose a service, like This Little Pig Went to Market, which delivers all of the specialty ingredients that you need to produce a stellar menu. Don’t worry about finding obscure ingredients at your local grocery store. These types of services deliver everything you need, pre-portioned and prepared so that all you have to do is follow the easy cooking instructions to produce a dinner that your guests will rave about for years to come. This saves you tons of time in the kitchen so you can spend less time cooking and more time enjoying the company of your guests. With these time-saving tips, you’ll be able to put together a wildly successful dinner party with minimal effort. 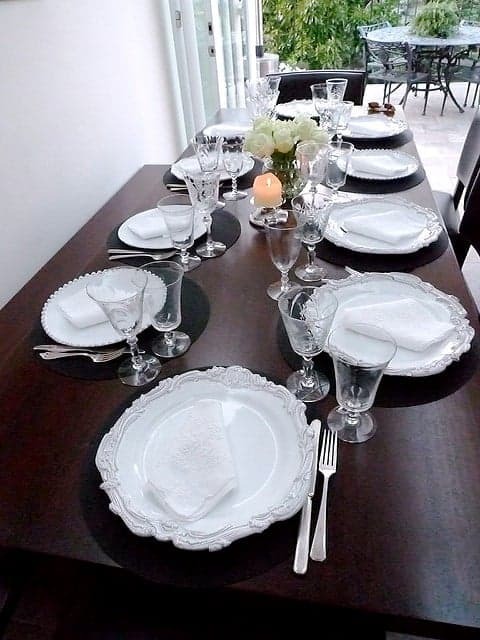 What other tips and tricks do you use when hosting dinner parties at your home? Author Bio: This article was written by Jodee Wearne, owner and operator of Just In Time Gourmet – specialists in online gourmet hampers delivered to your door for all occasions! Like the idea of getting everything delivered ready to cook… and the tips re freezing the cocktails. The candles I have under control and the cleaning too. Just got the important area ready for our guests tonight and now relaxing before I start preparing dinner… By the way, I came over from Eli’s 6 Word Challenge.